HERE ARE SOME SPRING TIPS FROM FANGOCUR! Read on to find out how the Anti-Aging Mask can rid your skin of tiny wrinkles and improve elasticity, helping to restore your natural skin tone. Your skin is especially prone to irritation during the springtime. The Mineral Soaps from fangocur are the ideal way cleanse your skin while normalising the level of moisture in the skin…and they're all 100% natural. There's a fangocur Mineral Soap just for your skin type – you'll be treated to a healthy and glowing complexion! Everyday skin cleansing with no harsh chemicals! In the winter the body is commonly in a more weakened state, and the more heavy foods eaten during the colder months can have negative effects on the digestion. In the spring your body needs help and encouragement in order to return to top form. Bentomed from fangocur offers much needed relief from conditions like gastritis and heartburn. Follow up with daily Bentovital use – this helps to keep your digestive system in top form. 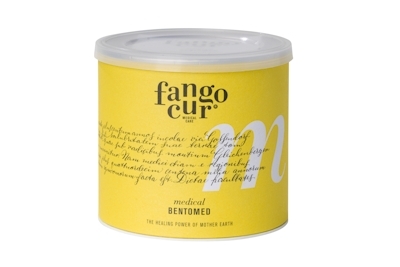 Rid of digestive problems thanks to fangocur Bentomed. Maintain good digestive system health with Bentovital! The fangocur Anti-Aging Mask is the gentle, natural and highly effective alternative to Botox and the like. The Anti-Aging Mask from fangocur provides you with a way to slow your skin's natural aging process. Restore healthy colour, softness and youthful radiance as you smooth away signs of aging. Take this opportunity to do something good for your skin! After the winter months the immune system can be very sensitive. As herpes outbreaks often accompany the common cold, they can occur more frequently in the springtime because colds are more common – that means more itching and painful blisters. The well-known absorptive quality of healing clay means that inflammation caused by the herpes virus is quickly and efficiently taken care of, and it's 100% natural. The fangocur Herpes Mineral Cream should be in every medicine cabinet!